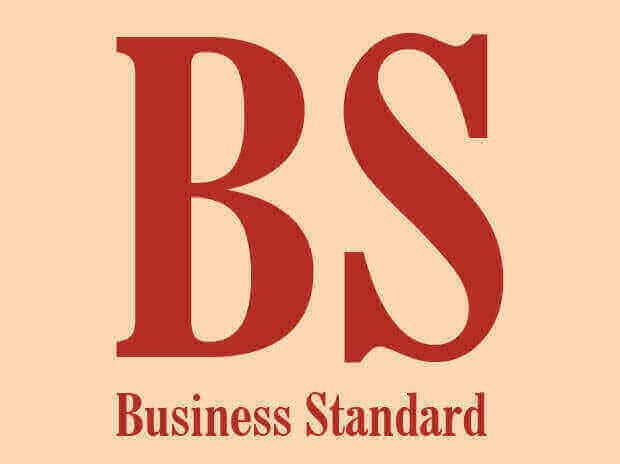 Heritage Foods Limited (HFL), a leading dairy company owned by Andhra Pradesh Chief Minister N. Chandrababu Naidu's family, will make a capital expenditure of Rs 100-Rs 120 crore every year to achieve its revenue target of Rs 6,000 crore by 2022. Does anyone know which plant they have acquired in Ludhiana,Punjab? yeah but article came out yesterday which hampered sentiments. The liquid milk business is a high ROCE business (50%+ in some cases) with negative working capital cycle. Some parts of value added product businesses like curd, flavored milk, ice cream also have equally strong return ratios with decent working capital cycle. A large part of the market is controlled by co-operatives. Since opening the market to private sector, private companies has slowly gained market share by creeping in. Is this trend going to continue for several years? In addition to this, a large part of liquid milk market is controlled by unorganized players. So trend of co-operatives to private players & unorganized to organized is here for long term? India has large vegetarian population & milk/milk products form large part of the diet. As incomes grow, expenditure on milk/milk products will only go up? The milk production is seasonal in nature where there is milk surplus in the flush season (monsoon, winter) & milk deficit in dry season (summer). The consumption of milk & milk product is counter cyclical to above trend i.e. consumption is more in dry months & less in flush months. The access to direct milk from farmers in dry season is one of the first ingredient of competitive strength of the business. The spoiler for above point is Skimmed Milk Powder (SMP) market. We have an industry where milk prices are determined by local factors but some parts of commodity (SMP) are also traded in international market (similar to Sugar). There are several minute aspects to SMP angle. In flush season, excess milk gets converted into SMP & in dry season SMP is converted back into milk products. If export prices fall or are lower than domestic SMP prices in flush season, a lot of players who create SMP tend to make losses. This price depression in SMP tends to flow to milk procurement prices because some players would rather import SMP & add butterfat to create milk. Also Hotels, Restaurants & Catering (Ho-Re-Ca) sector is most sensitive to prices than quality & first to go for lower priced milk. The margins tend to go up in some times but there is also social distress with farmer groups suffering. This is what is largely happening now. The scenario can play out on the positive side as well if export prices of SMP shoot up in flush season. So second important ingredient of business strength is de-linking business completely from SMP volatility. As SMP can be stored for a year, so strong business has to have products that can consume own SMP & on net basis in the year have no dependence on SMP prices. A large part of milk procurement market is controlled by co-operatives like Amul & Nandhini. Some of these players have state support in terms of subsidy & these players do not have a profit motive. So ability to defend your market share against co-operatives is third important ingredient of the strong business. How does one defend the market share from co-operatives? There are a few things one can do. First, always procure complete milk from the farmers no matter the season & pay them on time with transparency w.r.t. quality, fat content. Second, build strong operational efficiency in the business by the virtue of density i.e. procure more milk per unit area & sell more milk products per unit area. Third, try to build strong brands with high quality products & make switching costs high in the mind of consumers. The combination of this might allow you to charge more to customers without losing them & still pay farmers more than rest throughout the season. There is high probability that growth rate of value added products (VADP) might grow faster than consumption of liquid milk. These VADP can be categorized into capital efficient ones (like curd, ice creams) & capital-inefficient ones (like cheese, Paneer, Ghee, Butter etc.). The capital inefficiency stems from high working capital days, sometimes 120+ days. Since milk prices fluctuate widely throughout the year, so ability to pass on these prices to consumers is fourth ingredient of the strong business. Passing on high milk procurement prices in liquid milk products is rather difficult, so having higher/growing % of capital efficient VADP products can help to achieve this to an extent. Another way to pass on milk price fluctuations is to have institutional clients where price variations clause is built into contract. But doing institutional business in capital efficient matter is difficult due to high working capital requirement. Also due to fluctuating milk procurement prices, the bottomline would tend to be fluctuating over the years & hence a different metric is required for valuing the business. The major players on co-operative side are - Amul, Nandhini, Mother Dairy, Avin. The major players on private side are - Hatsun, Heritage, Prabhat, Parag, Nestle, Godrej (Jersey Creamline). The milk procurement by all of the above players in India amount to ~ 600 Lakh Liters Per Day (LLPD). Amul alone procures ~260 LLPD of the above pie. Nandhini (from Karnataka Milk Federation - KMF) procures ~ 60LLPD milk. Karnataka government provides ~5 rs./Liter subsidy to farmers supplying milk to Nandhini & hence no private players have been able to make inroads in Karnataka market for procurement. Mother Dairy is subsidiary of National Dairy Development Board & Avin is the Tamil Nadu Co-operative player. Avin procures ~30 LLPD milk whereas Mother Dairy procures a little more than that. On the private side, Hatsun stands out with highest milk procurement of ~30LLPD milk. Heritage, Parag & Prabhat all procure anywhere between 10-15 LLPD milk. In case of Hatsun, the milk per farmer is much higher than say Heritage as both have ~3-3.5L farmers. Hatsun has largely focused on liquid milk, curd & ice cream products & has stayed away from capital inefficient VADP products like cheese, Paneer. Hatsun has strongest brands in categories they operate in like - Arokya (Liquid Milk), Arun (Ice-creams). They also have Ibaco brand for other products. There are some reports where Hatsun is able to charge 1Rs. more to end consumers & they pay 1Rs. more than rest of the industry to farmers. Hatsun has very little impact from the prices of SMP. Hatsun remains the strongest business in private sector side. The sore points for me have been - high levels of debt & valuation. Also I don’t know if brand Arun, Arokya, Ibaco can travel pan-India. "We are creepers, not aggressive go-getters. We are always considered a nuisance by established players who try to put up defenses & then give up". Heritage has largely followed the path of Hatsun with lesser intensity. In AP & Telangana, they have relationship with ~3L farmers but milk procurement is still at only 10-12LLPD compared to 30LLPD of Hatsun. This might be because of lower productivity in AP/TS or other players also have good share of the pie. I need to work out this detail. Heritage has also largely focused on liquid milk & capital efficient VADP products (22% share). Heritage make losses in capital inefficient VADP products like Ghee, Butter compared to some other players. Heritage is a net SMP consuming company & not an exporting one. I don’t know the strength of Brand Heritage & I am going to assume that it is not a lot. The company has been trying to re-invent brand Heritage but I find efforts to be rather average. The company has guided 6000Cr of sales & 40% share of VADP by 2022. Heritage manufactures the curd for Nestle. As it is clear in this business, density is priceless. So, I don’t know how the strategy of the Heritage to go to select markets of Mumbai, Punjab/Haryana/Delhi with acquisition of Reliance Dairy are going to work out. Heritage has 3.75% share in Future Retail & how they use this capital remains a key moniterable. They have created JV with French major Novandie for VADP products. They have also created a new ice-cream brand Alpenvie. The management of Heritage has strong political connections & how they drive business also remains another key moniterable. The record of wealth creation of past 25 years is very good & I hope it remains that way. Prabhat is Srirampur & Pune based dairy player who started out with major focus on institutional sales (Modelez etc.). The capital ratios of Prabhat have been poor & now they are starting to look at B2C business with introduction of products in liquid milk, curd etc. They aim to be a regional brand in near future with 50% sales contribution from B2C by FY20. Prabhat has third largest cheese processing capacity after Amul & Parag. Parag is Pune (Manchar) based dairy player who has focused aggressively on VADP products. I think VADP forms ~70% of the Parag’s product mix with Cheese/Paneer being major constituent. Parag is also only player who has tried corporate dairy through its subsidiary Bhagyalaxmi. Parag has also introduced new product categories like whey protein in India. Both Parag & Prabhat do not have strong procurement networks like Hatsun. They have both have relationships with ~2L farmers & procure ~10LLPD milk. I think 10-30% of the milk procured by these guys is from agents, middlemen. Also, I am not sure about the connect these guys have with farmer community & may be vulnerable to co-operatives/Hatsun kind of player taking over their procurement network. The impact of price crash in SMP is probably highest on co-operatives like Amul, Nandhini. One, 20% export incentive to export SMP by central government, Amul is being offered 50Rs./Kg subsidy by Gujarat government. Two, MH government has fixed minimum procurement price of milk at 25Rs./Liter & has announced 5Rs./Liter incentive for producing VADP products for 3 months. Ghee, butter, cream prices have crashed by 20% in Q1 FY19. Parag refused to divulge the inventory value of SMP stock in Q1 FY19 & said that they did not incur much loss from SMP. Heritage is starting 1LLPD UHT plant & Parag also claims to have this capability. UHT milk can last for 90-120 days if packaging is not opened. I am yet to figure out the capital efficiency of this move. My guess is - this might be better than converting milk into SMP or going to capital inefficient VADP products. The regulatory risk of price control can not be ruled out completely. Disc - I hold tracking quantity in Heritage, Hatsun, no investments in the rest. This is not a buy/sell recommendation. Investors are advised to do their own due diligence. I am not a SEBI registered analyst. Parag Milk Foods - FMCG company just in Name or Deed? Nice analysis. Any idea on the whey protein business? It seems to me that there is a growing demand for that segment as people become more fitness conscious and there is a genuine lack of Indian brands. So I’d imagine the margin on those products might be high, however I can’t say much about the working capital cycle. Whey is a 1500-2000 cr mkt growing at 15-20% pa in india. In India, nobody other than Parag Milk Foods manufactures whey in-house at the moment, as whey is a by-product of cheese manufacturing. So unless you got large amount of cheese sales, you cannot manufacture whey as it is not economically viable. On the other hand, if you already got good cheese sales (parag has 32% of indian cheese mktshare), fwd integration into whey adds to overall cheese manufacturing margins. So its kind of a moat here as not everyboy can enter into whey manufacturing. Whey is a high margin product…gross margins close to 30-35% deoending upon protein content and flavours. No direct advertisements for whey. Marketing happens mostly through influencers like gym trainers and nutritionists. Players are getting a lot more innovative as competition is creeping in with some players adding ayurvedic herbs in whey, others playing on various flavors, yet others concentrating on more protein and bcg per scoop, and yet others concentrating on freshness and milk protein. India being a protein deficit country, when is an excellent substitute not just for body builders but for public as a whole. If you want much detailed info, check last 3-4 concalls of parag milk foods. It got details on the process, competition, muscle building vs generic nutrition, solubility, protein content, and other differentiators like veg non veg protein, and stuff. As Heritage has closed down @50% of Reliace dairy’s volume/route due to non viability, was this acquitison done only for Reliance’s Dairy Fresh brand ? will company use this Dairy fresh brand for entrering into westeran and northern states…? Heritage, as a strategy, is trying to expand into northern & western markets. The Reliance Dairy acquisition was done from this angle as it gives them entry in 5-6 markets. What is important to understand is, strategy of RIL dairy is very different from Heritage. RIL dairy was created to purely serve RIL retail outlets, they were not looking at standalone dairy business. Heritage has no such restrictions, it can sell milk to super market chains as well as mom & pop stores. So the procurement will be commensurate with sales they are able to manage & closing down non-viable operations makes sense. On Brand front, RIL brands have decent penetration in northern markets like Punjab, Haryana. The company’s strategy is to use Dairy Life & Pure in such markets where they have strength. For rest of the markets (where sales are sprinkled), they plan to switch the brand to Heritage. Another point is on the economics of the RIL business at the time of acquisition & now. If memory serves me right, RIL business was acquired for ~100-120Cr, had the sales of 560Cr & sales of 1.5LLPD at the time of acquisition. Currently sales is 1LLPD, providing revenue of ~375Cr. Assuming 5% OPM, EBITDA comes to ~18-20Cr. This makes for very reasonable ROCE. Further, I am hoping they can scale this business with additional investments they are making - increasing Haryana capacity from 0.75 to 2 LLPD, Chandigarh - 2 LLPD, looking for capacity in Jaipur. I prefer to look at base business & RIL business separately till RIL business can reach margin profile of base business. This was one of the reasons their margins were hit last year. They have re-done the logo etc. But overall, I find the whole effort to be dull & a lot more needs to be done on branding side. I think liquid milk remains an important part of Heritage business strategy & they will look to procure dairies who have milk procurement network with corresponding assets. They have done some small acquisitions, you can go through them. I find Brahmini’s involvement in the business as a good sign & the way she has managed two deals - RIL dairy & FRL stake, I find them to be smart deals. Also, it looks like she is the brain behind business strategy, brand strategy - let’s hope she can deliver. This is the question I have as well, why make losses in fat products? The fat product requires a lot of working capital (2-4 months) & hence capital inefficient but that still is not reason to make losses. May be there is spot pricing kind of mechanism in fat products. Also, I have not come across Heritage branded ghee or butter, so I think this should be B2B business. We can try to ask management about this in one of the conf calls. AMUL also stands as a short form for Anand Milk Union Limited. Anand is the birthplace of co-operative dairies in India. One of the first things that striked me that, marketing & brand creation was always important for Dr. Kurien, who worked as chairman of GCMMF for over 4 decades. Amul hired advertising & brand agencies way back in the 1960s. Amul Girl is one of the longest running & most humorous ad campaign. Amul is such an entrenched brand in (at least in butter segment) & it helps me to put in perspective/judge brand building efforts of the some of newer players. e.g. in my mind, effort of the management of the 1) Heritage to change the identity of brand Heritage or Alpen Vie ice cream or 2) Brand Avvatar or Brand Go from Parag etc. are at such a nascent stage that you can almost discount them when studying business quality. Creating brand & sustaining it takes years of effort, the brand has to be simple & somehow shall be able to connect with the masses. If someone knows books/studies on brand evolution/development process, I would be very happy to get the recommendations. 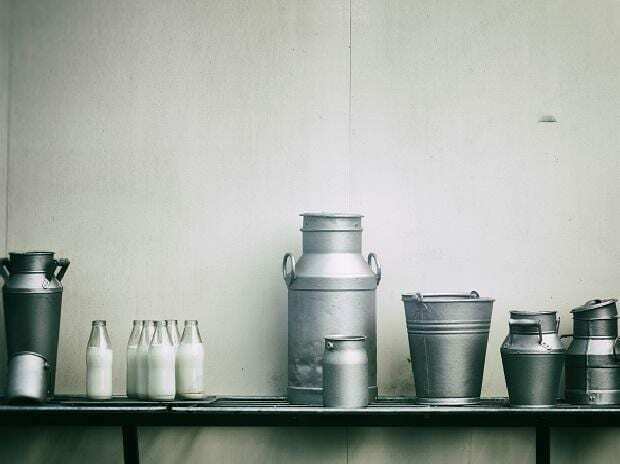 The “Anand Pattern” of dairy co-operatives entailed 3 or 4 things - farmers milk is never refused despite flush/lean season, 70-80% of price paid by consumers went as cash to farmers, farmers owned the procurement, processing, plants/technology & most importantly distribution/marketing. This model of no middlemen, ability to set prices in end consumer market & hiring of professional managers & latest technology is what made “Anand Pattern” co-operatives click. The relationship between co-operatives, politicians, government & bureaucracy is complicated to say the least. Having strong headed & professional management is so important so that farmers really benefit. Bureaucracy sees co-operatives as a threat to their jobs & usually oppose the proposals by them. But co-operatives also have an enormous access to the state/central governments & professional manager can really use them to their advantage. Dr. Kurien was such very shrewd professional manager for Amul who knew how to use his clout. His ability to keep meddling by politicians & bureaucrats out earned him the nickname “crocodile who swims in the milk”. Dr. Kurien also led Amul to create skimmed milk powder (SMP) from buffalo milk instead of conventional cow milk, a first in the world. The co-operative movement did not pick up in Sri Lanka & Pakistan - despite their invitation to & involvement of Dr. Kurien & team. This tells me that it needed Dr. Kurien to make Amul what it is. I have not looked at some of the state co-operatives but my guess would be things will be messy & this provides opportunity for stronger private players like Hatsun to gain market share. Heritage captured the milk supply chain once Chittoor District Cooperative Milk Producers Union collapsed in then united Andhra Pradesh. Having an end to end chain in terms procurement/processing/distribution/marketing is important to take advantage of any crisis in co-operatives due to operational efficiency, ability to set prices & ability to pay more to farmers i.e. the business has to become “private co-operative”. The book claims that major milk producers of the world - New Zealand/Denmark/Holland have 100% of the dairies as co-operative. The ratio is at 85% for the US & 95% for the Germany. It would be interesting to learn about present status & the factors that created these co-operatives. National Dairy Development Board (NDDB) was formed by former PM Lal Bahadur Shastri to take “Anand Pattern” of the co-operatives pan India & Dr. Kurien was made chairman of it. Operation flood was launched in 1970 under the chairmanship of Dr. Kurien by NDDB. It transformed India from milk deficient nation to a world’s largest milk producer. It took over 3 decades to achieve these objectives over 3 phases of operation. 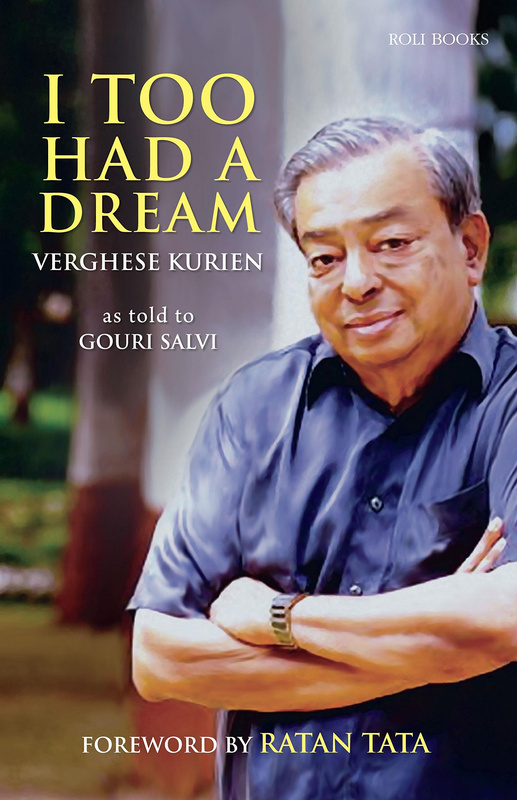 What Dr. Kurien did in the first phase was very smart. Many developed nations (esp. NZ & Europe) were willing to provide SMP to India as there was a supply glut in global markets & wanted to sell this at a discount in the market. The hidden motto behind this was two fold - reducing the supply/demand mismatch in the world market to boost the prices, gaining market share in Indian market due to cheaper pricing & selling subsequent SMP at above market prices, thereby creating perennial import dependency for India. Dr. Kurien saw through this & made an passionate speech at world food program for selling these products at par prices in India. 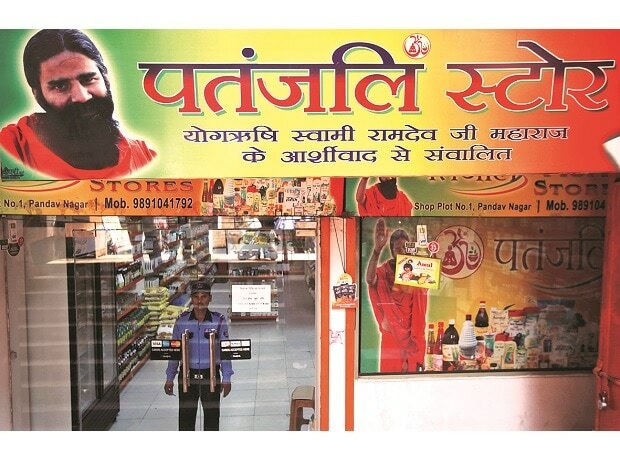 He sold these products at market prices in four metros of India & gained market share from middlemen & traders as they were not capable of supplying to entire cities. As farmers got more & more money, they were incentivised to produce more there by increasing milk production & making India self-sufficient. Another smart thing Dr. Kurien did was he worked so that NDDB was appointed as a single import agency that dealt with all this food aid. This gave him a lot of bargaining power which he used to bring down prices & get some extra freebies. This can be easily contrasted with Pakistan where most of SMP was imported & was sold at 2x prices of India due to vested interests. Dr. Kurien was also asked to co-operatise oil & oil seed market. Brand Dhara is an outcome of his effort. He took on powerful oil lobby in doing so. Dr. Amrita Patel succeeded Dr. Kurien as chairman of NDDB at his recommendation & they developed serious differences over the years. Dr. Kurien always insisted that end to end chain from production till marketing shall be owned by farmers, that last part was important as it gives ability to set prices. Dr. Amrita Patel’s NDDB took a different route where marketing is handled by Mother Dairy Private Limited. Mother Diary was also in direct competition with state co-operatives & they do not accept full milk from farmers at all times. Am wondering why the company wants to hold on to Future Retail shares where they get only 25% of upside though an OTC derivative that also creates some crazy accounting entries. It also inflates the IND AS balance sheet and reduces the optical ROCE. They will be far better off if the shares are dumped in the market. They got a good deal for the loss making retail business but holding on to Future shares may not be a good idea. Of course Future is trying to rope in a foreign retailer and if that story pans out it will be good but again upside is only 25% of the total upside. They should simply concentrate on the core business and dispose this off in my opinion which can lead to re-rating of the stock.